The word ‘KAIRAASI’ * has the meaning ‘GIFTS OF HANDS’, which aptly suites our hand loom fabrics and hand made crafts. We are striving to continue touching the lives of the amazingly gifted Indian craftswomen and men and to offer them hope, confidence and above all an exposure to the global market by creating a Platform and a Brand. *Kairaasi - கைராாசி is a word from the Tamil language used to recommend a person who has the magical healing touch, whose special hands can bestow happiness and good luck. For several years, we have been collecting and promoting high-quality hand loom cloth and hand made crafts from highly skilled weavers, artisans or co-operative societies across India, some of whom have become reliable partners over time. (However, it often proved simply impossible to get our customers everything they wanted (the same design, quality). So Kairaasi has very recently decided to develop its own, flexible product range in order to preserve the interest and to encourage next generations the beautiful arts and the ever rich traditions). Kairaasi stands for the supply of highest quality, eco-friendly and stylish, handmade designed products. Our comprehensive works begin with knowing our customers and understanding their needs then an intensive collaboration with our artisans and encouraging customers. (We develop the products in our own facilities / manufactures at home / facilities of artisans / co-operative societies, with Kairaasi being responsible for the final result). Recently, the state government of Tamilnadu banned the one-time usage plastic materials throughout the state, which has created a need for eco-friendly, non-plastic, reusable alternatives for daily needs. 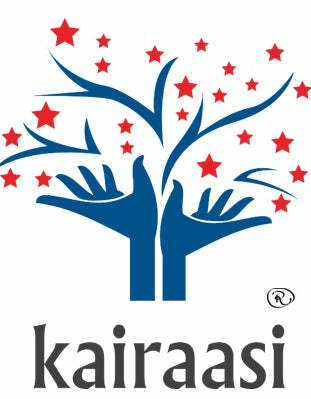 Kairaasi as a responsible company, happily welcomed this move to protect the environments so in support of this we began making shopping bags, shoulder bags and totes out of handwoven materials sourced from weavers into practical and stylish designs. The whole process was a team effort to bring you new & unique his or her designs. Many prototypes, samples, cuts finally result in beautiful proud Kairaasi Totes!!! Hope you will enjoy these signature editions and join us towards a pollution-free alternatives world!. Over the life of Kairaasi, the production of hand loom cloth and hand made crafts have been rapidly reducing due to various obstacles faced by artisans. In a small step to preserve these – Kairaasi started researching to find the reasons behind this decline. We spend time with the artisans and document their their invaluable traditional techniques and voices as record, communicate to customers and for possible future generations to relearn these arts. We encourage the continuing production of the traditional unique products seen in the Kairaasi Classical Collections.